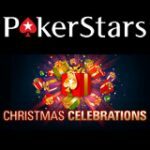 The PokerStars January Daily Challenge 2015 promotion has more than a million in cash up for grabs this January on PokerStars. 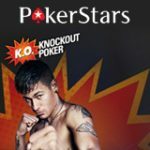 Take on the new PokerStars challenges and get tournament tickets for the daily $10,000 All-in Shootout tournaments. Players that complete more than 10 challenges within the promotional date get entry to the special edition All-in Shootout tournament which features a $100,000 prize pool. New players can join in on all the action by signing up for a free poker account, depositing players get a 100% bonus up to $600 when making a first deposit. 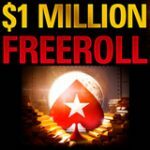 Take on the PokerStars January Daily Challenge in the New Year and put your luck to the test with over a million dollars in All-in Shootout tournaments running in January. The exciting all-in tournament format puts all players all-in every hand and pays-out in the regular tournament format, no poker skills required to win. 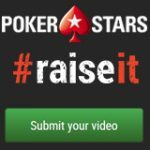 Players are required to complete their PokerStars challenge daily to get a tournament ticket to the daily $10,000 All-in Shootout. The promotion is available on the desktop client as well as the PokerStars App for mobiles and tablets. 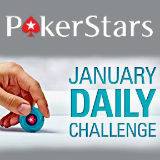 Choose from any of the three PokerStars January Daily Challenge available until the 31st January, players must Start the challenge before participating. There is a special $100,000 Bonus All-in Shootout tournament for players that complete more than 10 PokerStars January Daily Challenges during the promotional dates. Remember to start the $100K Bonus Challenge from the PokerStars challenge window in the lobby before competing the 10 January challenge 2015 PokerStars. Players must complete their challenges as early as possible to make sure they register before the player cap is reached. 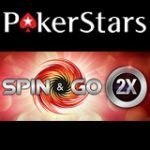 Any player who qualifies for the tournament and don't manage to register in time will be reimbursed with a PokerStars Spin & Go tournament ticket worth $1.